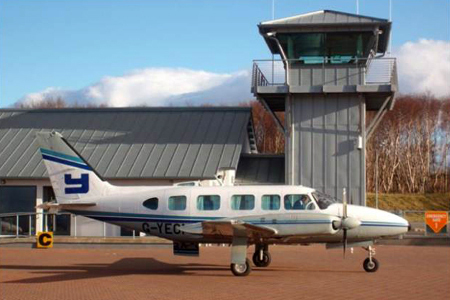 Oban Airport is easily reached from numerous locations in the UK – and it provides a great base for a spot of island hopping. We welcome, on average, 900 private flights each year, so you can be sure of expert care. Charter flights give you the freedom and flexibility to work to your own schedule. Here at Oban we’re able to welcome a variety of private jets, including helicopters (within our hours of operation and subject to PPR). Don’t forget, if you’re flying from the south of England, not only will your journey be faster (and more enjoyable) if you fly, but many also find that the cost of flying to Scotland compares favourably with the first class rail fare. What better reason do you need to take off for Oban?